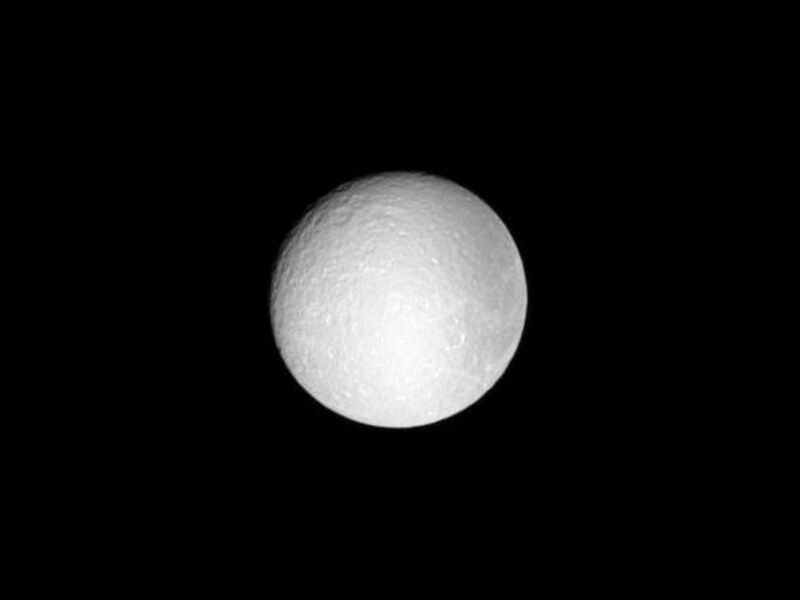 The battered features of the moon Rhea, seen at low phase, appear washed out by the sun. 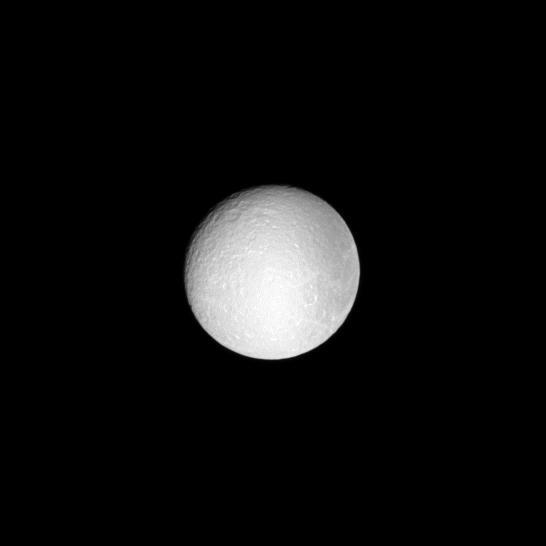 This view looks toward the Saturn-facing side of Rhea at a sun-Rhea-spacecraft, or phase, angle of 15 degrees. 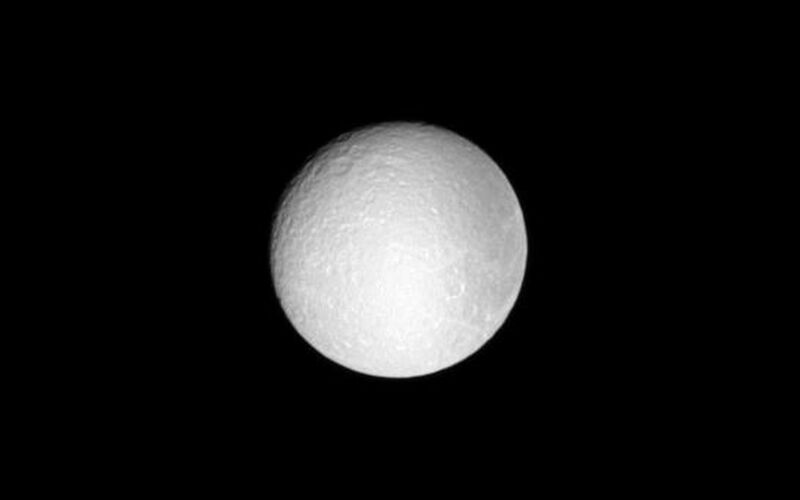 To see Rhea at an even lower phase angle -- near opposition -- see PIA10542. North on Rhea (1528 kilometers, or 949 miles across) is up and rotated 7 degrees to the left. The image was taken in visible light with the Cassini spacecraft narrow-angle camera on May 26, 2009. 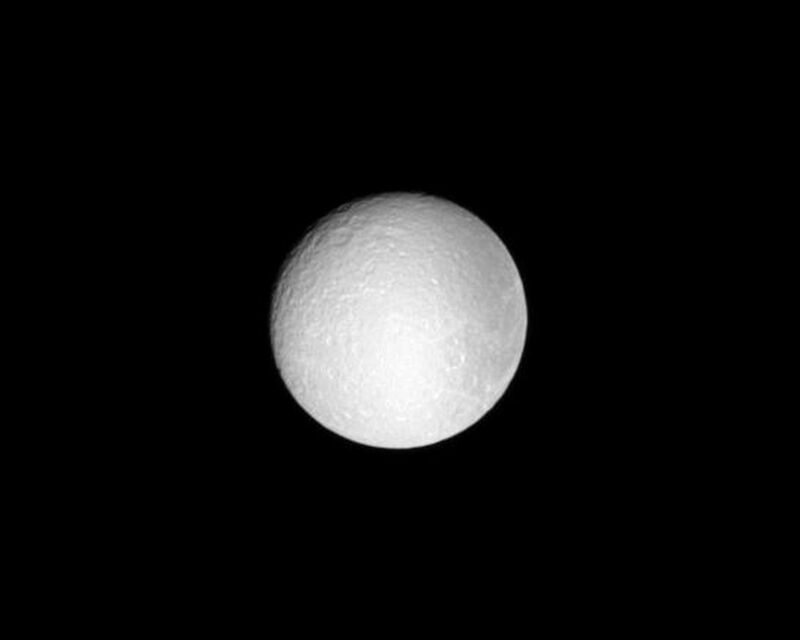 The view was obtained at a distance of approximately 1.4 million kilometers (870,000 miles) from Rhea. Image scale is 9 kilometers (6 miles) per pixel.